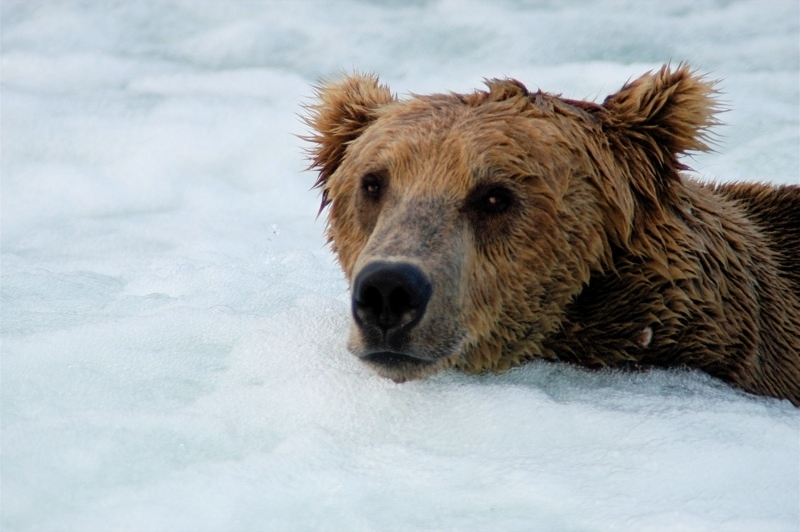 Katmai National Park & Preserve AK is where you want to be when July rolls around. Brooks Falls, to be precise. Can’t make it this year? Ever? No worries. Stay where you are and make the trip anyway via the Brooks Falls Bear Cam. Got a computer? Click the link at the top of this post. That’s all it takes to zoom you right in to watch brown bears chowing down. It’s the Brooks Falls Bear Cam. You can even impress your friends, recalicitrant teenagers, sister-in-law, and pet nephew with a snapshot or two. A nosy neighbor wondering what you do all day? Puurrrfect. Right there at the link. And if you’re itching to see more action? National Park Service biologists at Katmai have collared several brown bears with video cams. You can get a bear’s neck view. Photo credits for Brooks Falls Bear Cam. 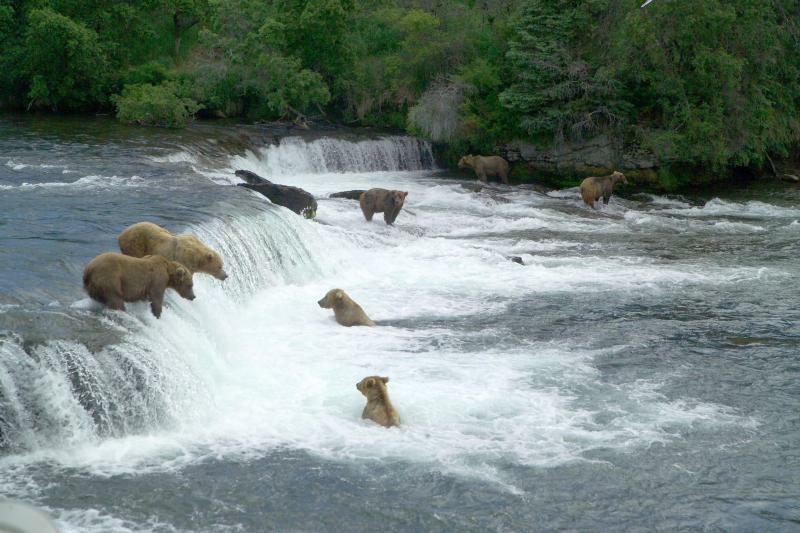 Featured image and top.. Brown bears gathering to feast on salmon: Public Domain by NPS Brown bear at Brooks Falls: Public Domain by NPS. 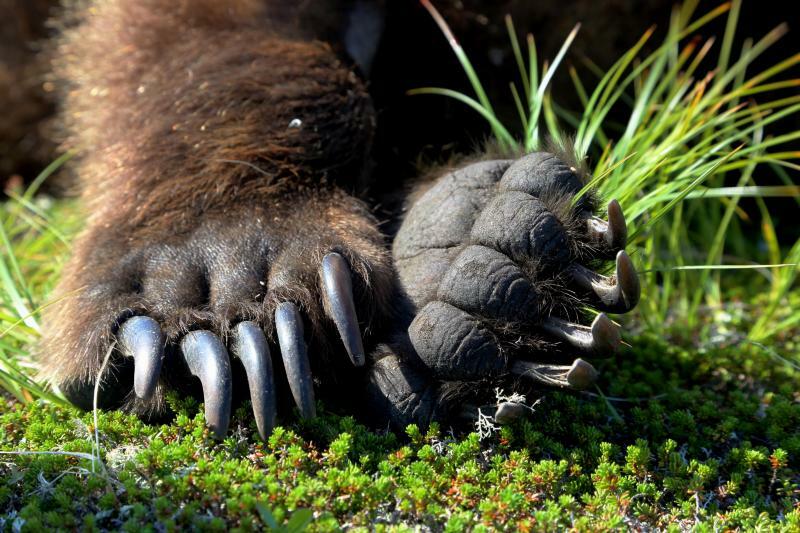 Bear’s paws: NPS/Kaiti Critz.